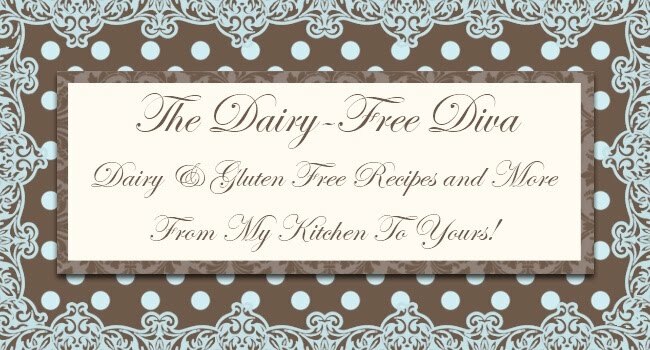 In addition to our typical dairy and gluten free lifestyle, my husband and I have been trying to eat vegetarian one night a week. So far, I have liked the dishes but he has turned up his nose at them after a few bites. I don't know why either of us think that he is going to like them considering that he basically hates vegetables. Tonight was a vegetable green curry served atop a bed of rice noodles. Meanwhile in a small saucepan gently simmer the coconut milk, green curry paste and soy sauce. In a skillet saute the onions until they are tender. Add the mushrooms and continue to saute. Once the mushrooms are lightly browned add the garlic, red bell pepper and chile pepper. Continue to saute until the peppers are cooked to a tender crisp. Add the sugar snap peas and heat through. 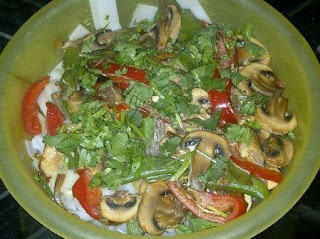 To serve layer rice noodles then sauted vegetables topped with the green curry sauce and garnished with the cilantro. This sounds absolutely delicious. Unfortunately, there is no way my kids would eat it. I do use rice noodles all the time. They make a great substitute for wheat pasta. Anne, I think that this would be absolutely delicious with some sauted chicken breast and whatever vegetables you have available that your family likes. It is very versatile!